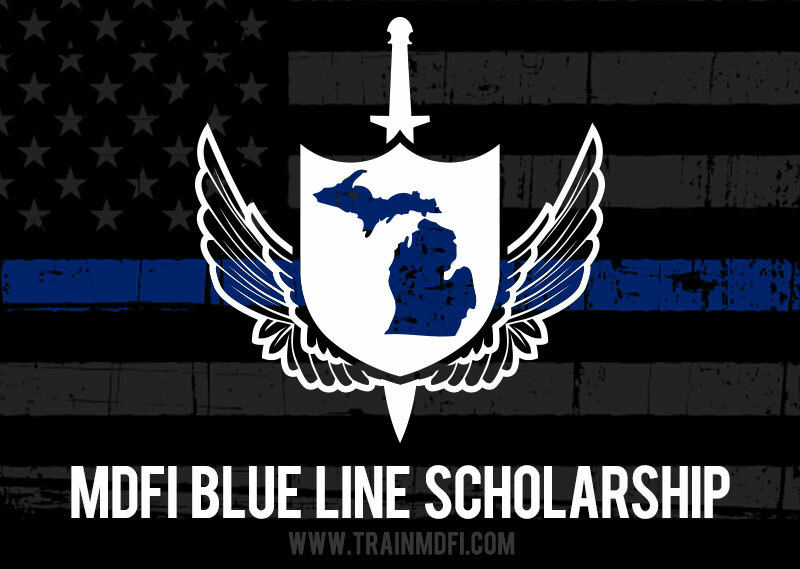 With a desire to help our Michigan Law Enforcement Officers receive much-needed training when the department cannot assist, MDFI is proud to offer the MDFI BLUE LINE SCHOLARSHIP effective in 2017. This scholarship offers one spot for an Active or Reserve Law Enforcement Officer from the state of Michigan in each of our MCOLES certified classes tuition-free. There are many good folks out there in our community that must choose between food, gas, clothing, etc well before ever thinking of having the budget to incorporate defensive tools/training into their lives. As such, we are formally launching the MDFI “Pay It Forward” Scholarship. 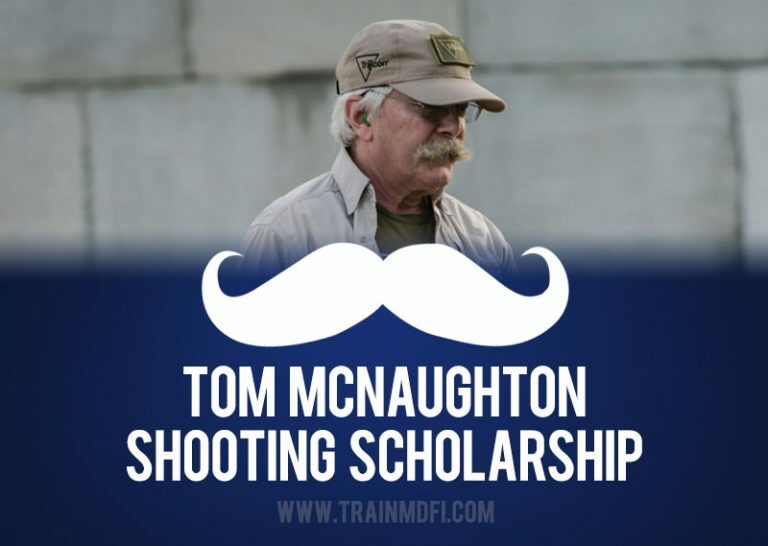 Years ago, MDFI was blessed to meet a man of short stature, incredible character, amazing mustache, and a big ol’ Glock 10mm: Mr. Tom McNaughton. Each year, the MDFI Cadre will select a young shooter to receive a full year of free tuition to any MDFI class with loaner firearms and required ammunition for the following full calendar year. 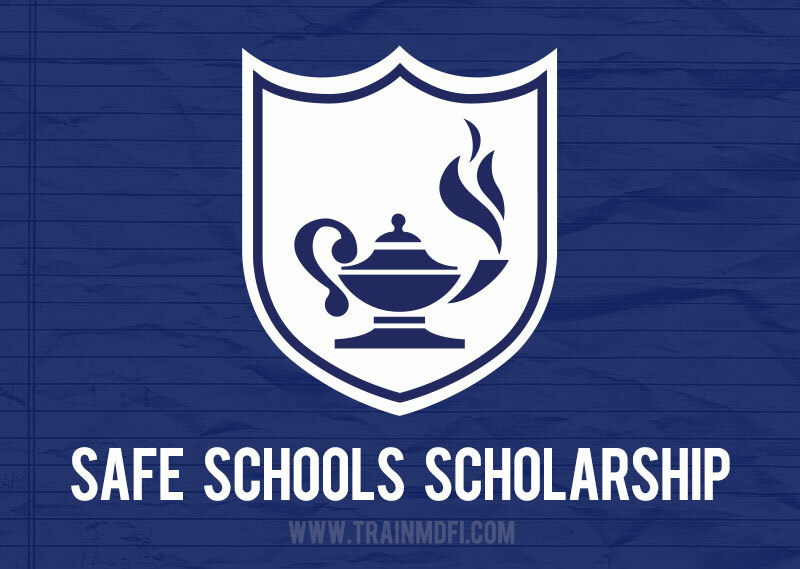 MDFI is very proud to offer our Safe Schools Scholarship for those who have taken on the responsibility to educate our youth. 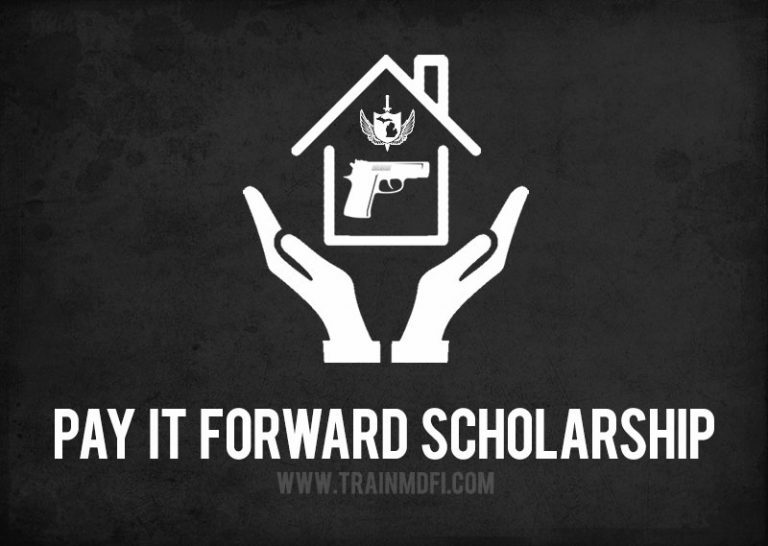 With the understanding that the absolute best way to keep those in schools safe from criminals with evil intent is to have a cadre of school staff who are trained and willing to be protectors for those in their charge, MDFI is offering a tuition-free scholarship to any of our handgun MCOLES certified courses for those who are authorized to bear arms at an educational facility.